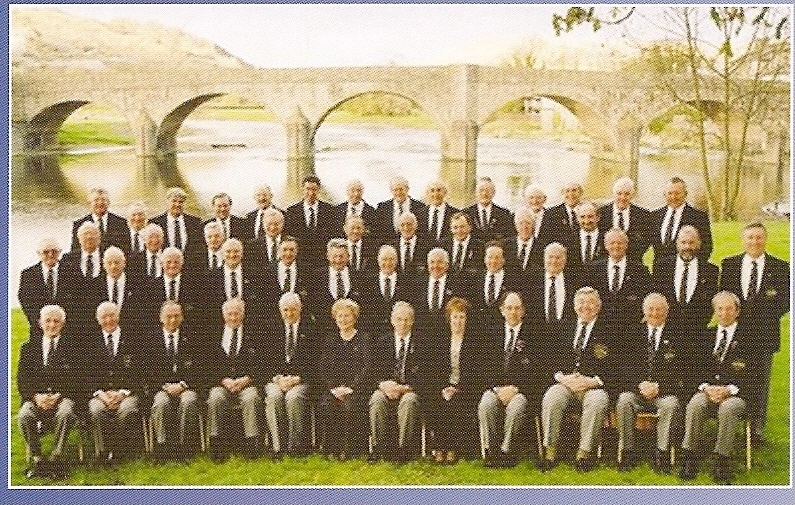 Builth has had a choral tradition going back for well over a hundred years. In 1888 the great “Llew Buallt” took a mixed choir of 150 voices from Builth and district to Llandudno and won the choral section of the National Eisteddfod. Other local names organising choral singing in the past were A.P. Morgan, Tom Jones (Bridge Cafe) and Mr and Mrs George Bradley. The present choir began when a group of enthusiasts led by Jack Francis met at the Cricket and Rugby Club in Garth Road in the winter of 1968-9. Jack was the Deputy Head teacher at the Primary School and came from a Welsh-speaking Swansea Valley family with much experience of running choirs. 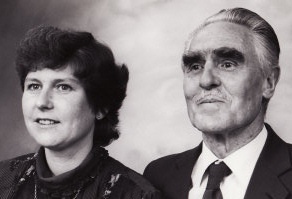 Jack Francis was undoubtedly the father of Builth Choir and his dedicated work laid the foundation for the next forty years. Jack conducted the Choir for its first seventeen years, only retiring in 1985 through ill-health. He remained as Choir president until his death in 1995. 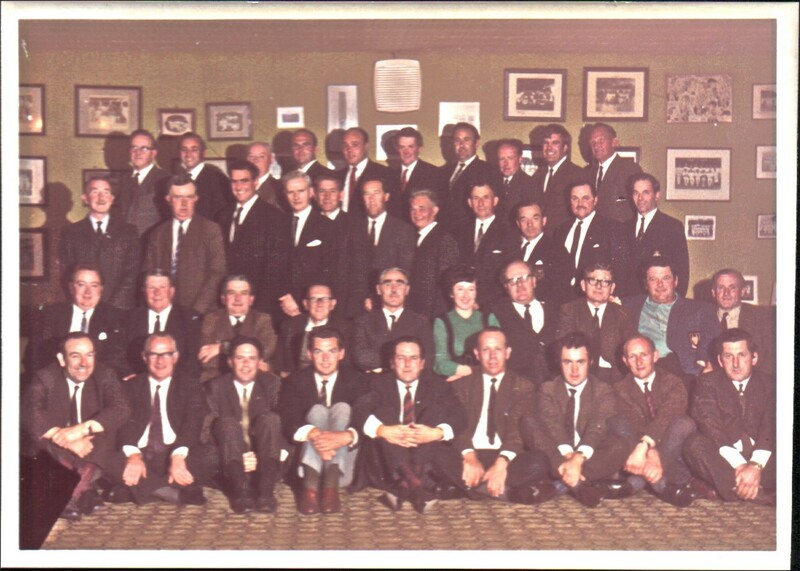 Just over a year after its foundation on 20th April 1970, “The Builth Wells Cricket and Rugby Club Male Voice Choir” as it was then known, gave its first official concert in nearby Garth with 33 singers on stage. Other engagements followed and in the early 70s the choir took part in many local Eisteddfoddau with mixed results! The choir’s first accompanist was Miss Ceinwen Bufton, Llanhello Farm and when she left the area to get married, one of Jack’s colleagues at Builth Primary, Llanelli-born Luned Jones took over at the piano for the next twelve years. In 1985 following Jack’s retirement, Luned took over as conductor and some 27 years on, is still doing so. The new accompanist was Ann Bufton who is a sister-in-law of Ceinwen – she too is still serving the choir into the new millennium. There is no doubt that the Choir has benefitted, over many years, from the continuity provided by these dedicated musicians. A highlight of the early years was a joint concert in1977 at Shire Hall, Hereford with Rhayader and Hereford Rail Choirs, when Jack achieved an ambition of conducting a choir of 100 voices. Also during the late seventies for a number of years the choir sang for guests at the Hampton Hotel in Llandrindod, every Monday night during the summer months. 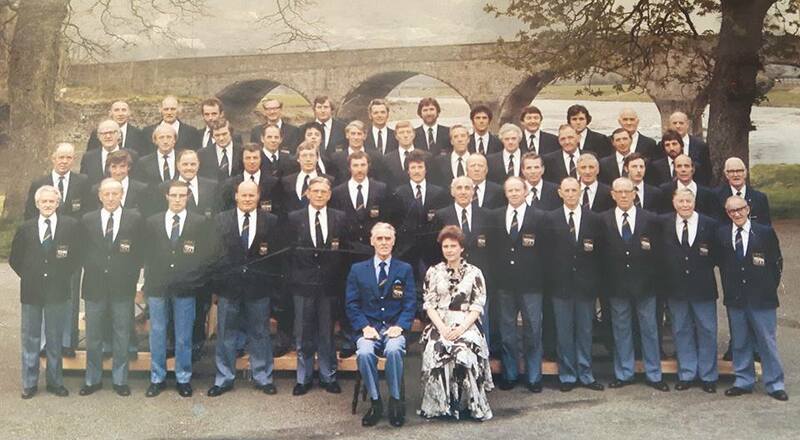 In January 1980 the Choir, by now known more simply as “Builth Male Voice Choir”, made its first recording with Swan Records of Swansea and took part in a broadcast in Welsh for BBC Radio. October 1982 saw the Choir taking part in the Festival of 1000 voices at the Albert Hall with Noel Davies conducting. This was a memorable experience for the choristers, singing to an audience of over 8000 and one that was to be repeated several times over the years and has seen the Choir televised many times, particularly on S4C. We went again in 2012. Down by the Riverside again in 2004. In recent years the Choir has toured in Germany, France, Ireland and the Czech Republic as well as many trips in Wales and the rest of the UK to sing with other choirs and entertaining many thousands of people in venues ranging from tiny churches and village halls to the more impressive surroundings of St David’s Hall and the Millennium Centre and of course the Albert Hall. Most concerts are in support of local and national charities and the Choir have been honoured to be invited to sing at weddings and funerals in the local community. 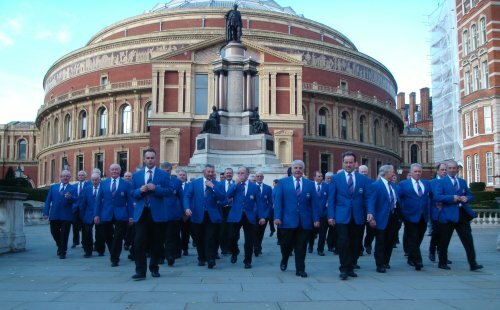 Most of these details have been taken from “In Harmony – a personal impression of Builth Male Voice Choir” a pamphlet written by the late Abram Davies, one of the founder members of the Choir.